A user’s Apple ID is their complete identity. It is what is used to log into the App Store and avail Apple services. When you purchase an iPhone you enter your Apple ID in the start and the iOS keeps track of it for when you download a new app or something similar. 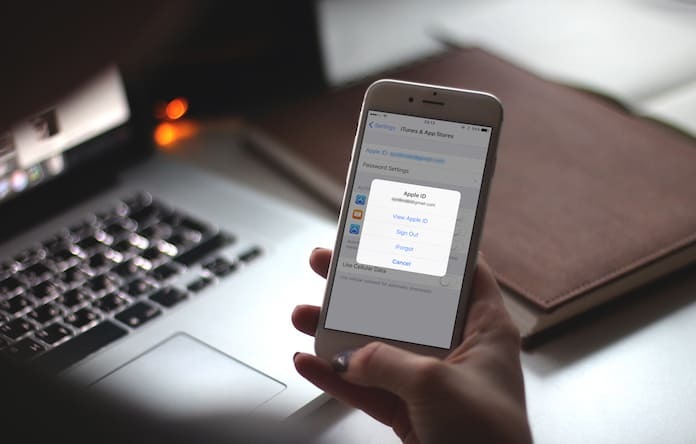 However, an issue that pops up quite frequently is that iOS faces problems in identifying the current Apple ID that you are using. This usually occurs if you buy a second hand iPhone and the previous owner’s Apple ID is still being used by the iOS. Instead of facing frustration when asked for the pass of an Apple ID that isn’t even yours, you may want to just learn how to remove Apple ID from iPhone. Step 1: Launch the App Store app on your iPhone or iPad. Step 2: Tap on the Featured tab from the bottom menu. Step 3: Scroll down and tap the Apple ID at the bottom left corner to Sign Out. 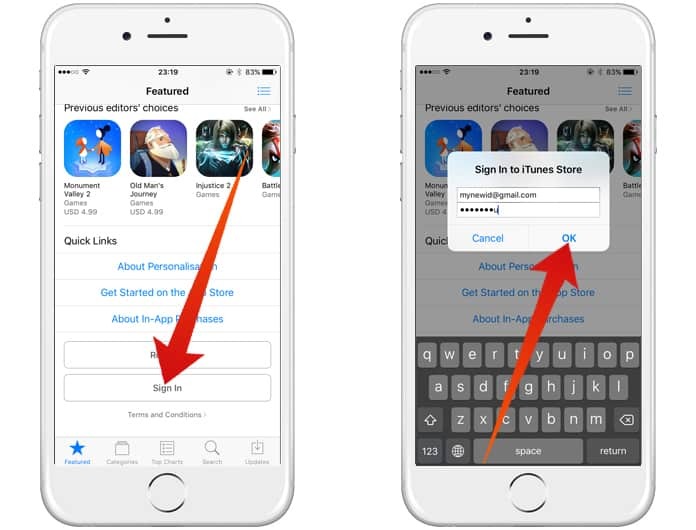 Step 4: Select the Sign In option and enter your new/other Apple ID and Password. 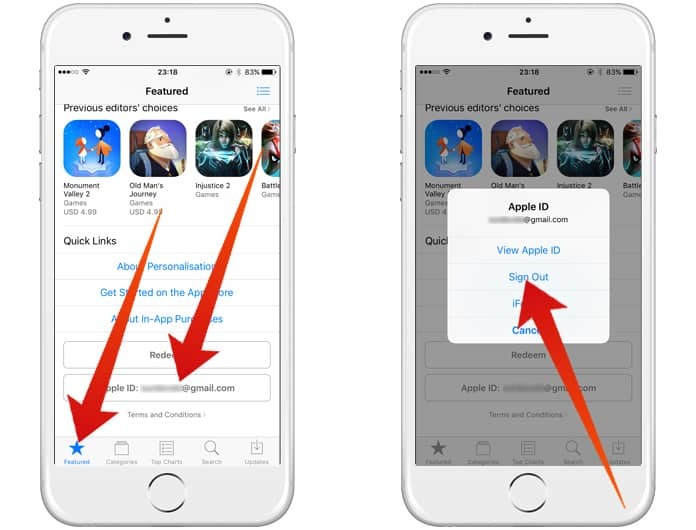 Now, you should have your own Apple ID back in the App Store and apps will be downloaded using your account. However, make sure that apps installed from another account will still remain and can cause problems because when that app receives updates it will require the other Apple ID’s password. Launch the Settings app and tap on the top entry where it shows your picture and name. Scroll down and choose Sign Out; in case of a prompt just tap Delete from My iPhone. Input the password of the person in question’s Apple ID. 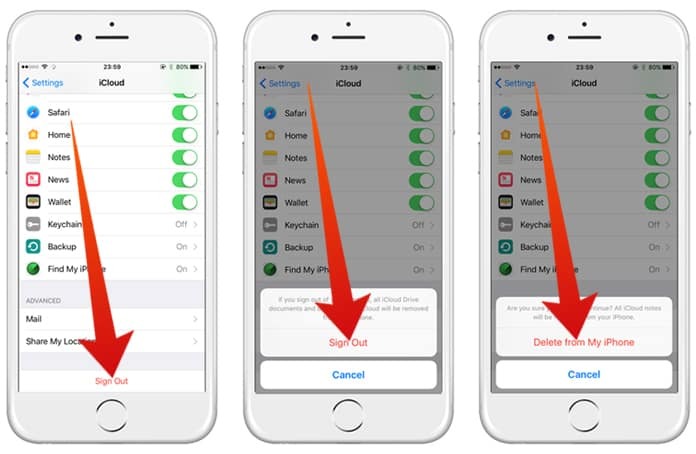 Check if you want to keep copies of iCloud data for Calenders, Reminders, Safari and Contacts. Tap on Sign Out or Turn Off, whichever is easier. After successfully signing out just tap Sign In and enter your Apple ID and password to use the device for your own usage. In case you don’t have any way to get the Apple ID password there is an alternative but it’s a little tricky to implement. You need to turn off your device and connect it to a PC which has iTunes and do so while holding down the Home Button. Keep pressing the button until the iTunes logo and cable graphic appears on your iPhone and then use iTunes to restore the device. Remember, only use this when nothing else works because there is a small possibility that the device gets stuck in recovery mode. Let us know if any of these methods worked for you!